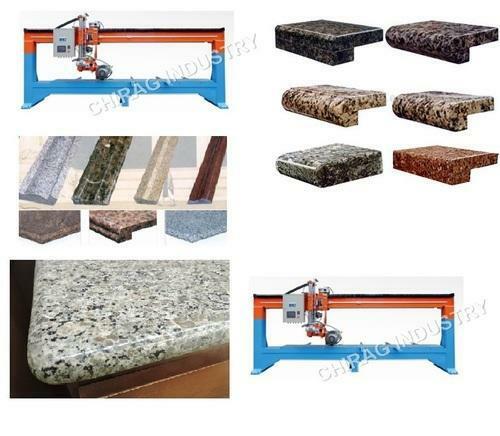 Prominent & Leading Manufacturer from Coimbatore, we offer automatic stone bridge cutting and moulding machine, plc stone profile cutting machine with four blade, granite stone edge half noshing and full noshing machine, automatic multi - function stone moulding machine, granite moulding machine and bridge edge cutting grinding and moulding combined machine. This is Multifunction combined Machine. The Main functions are Edge Cutting, Edge Grinding, Edge Moulding, Edge Polishing and Profiling. Bed Movement is Automatic. 1. This machine is the latest design for processing the special-shaped stone material. 2. It adopts portal structure to make the max. 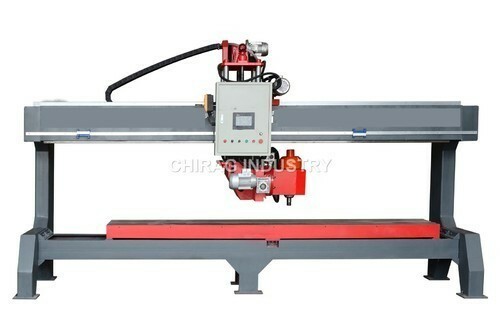 Width of 1580 mm, and it can make 4 pcs of lines in one time processing. 4. It adopts the ball screw in up and down movements. 5. It adopts the double triangle in the rail. 6. It has long using life with high efficiency which put the gear under the table. 1. It adopts the inverter control the machine head movement. 2. 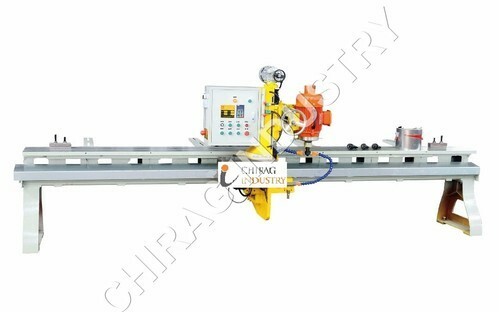 The machine head can up and down as well as rotate for 90 degree automatically; it also can do the line polishing by automatic. 3. It adopts the transmission movement without any noise. 4. 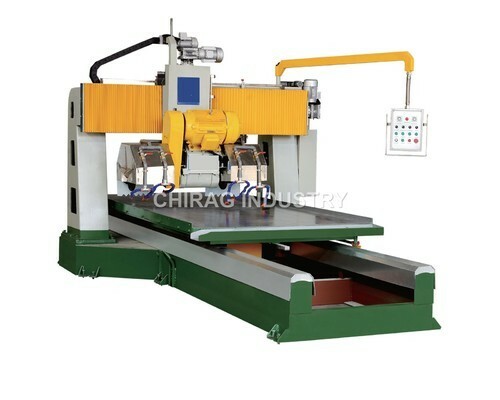 It also can make the curve line to pull out the head of the machine. 5. 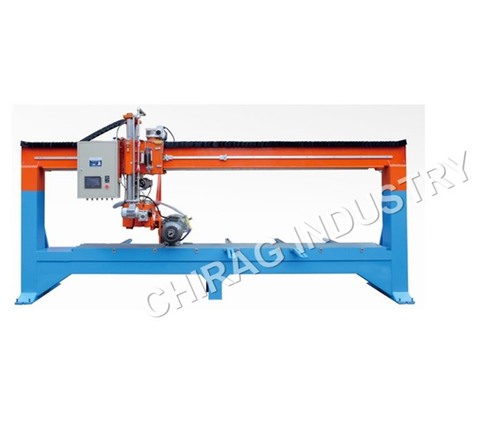 It is our latest grinder with multi-function in triangle rail. This is Multifunction combined Machine. 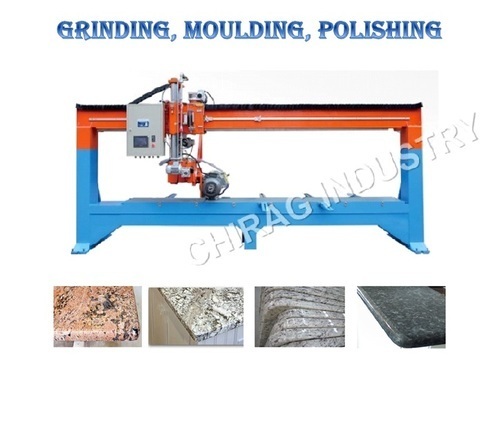 The Main functions are Edge Cuttin, Edge Grinding, Edge Moulding, Edge Polishing and Profiling. 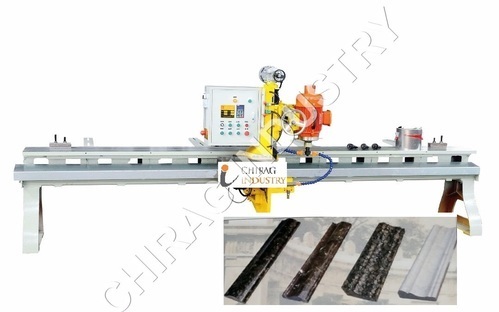 Looking for “Stone Moulding Machine”?